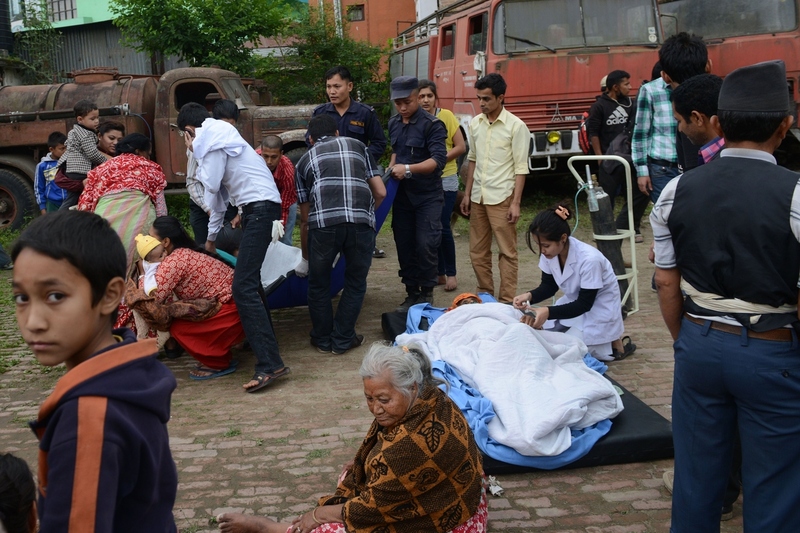 A 7.8 magnitude earthquake struck Nepal on Saturday, killing over a thousand people and triggering a deadly avalanche on Mount Everest. 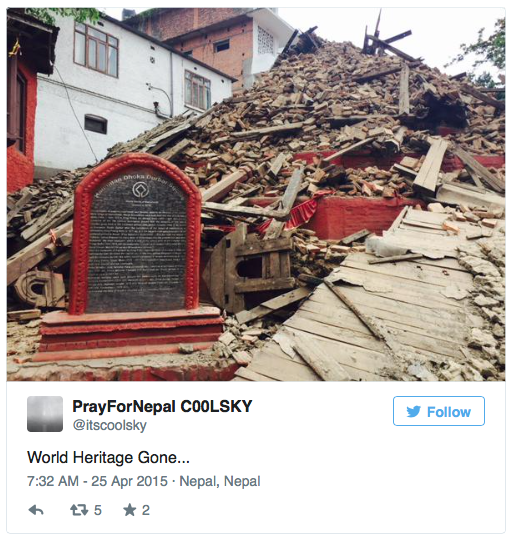 The earthquake, the worst to hit the country in 80 years, caused massive destruction in the Himalayan nation, including destroying a 19th-century tower in the capital Kathmandu. 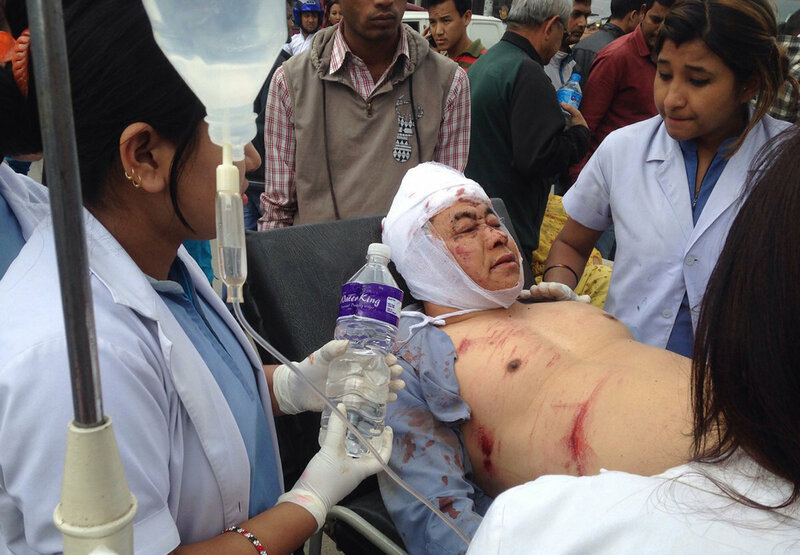 Nepali police report that 1,130 people were killed, according to Reuters. The death toll is likely to rise. 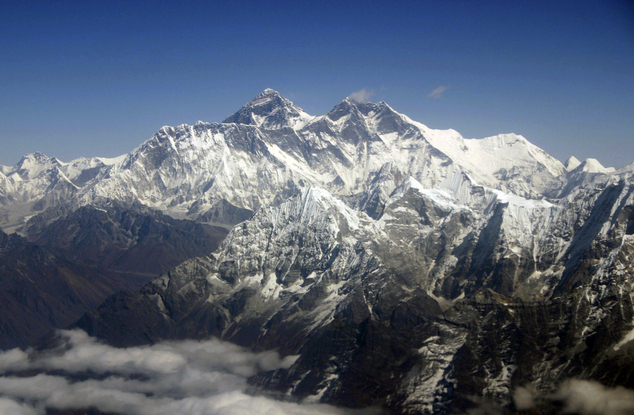 The earthquake, the worst to hit Nepal in over 80 years, also triggered a deadly avalanche on Mount Everest. The avalanche buried part of base camp, full of mountaineers who had come for the start of the main climbing season. 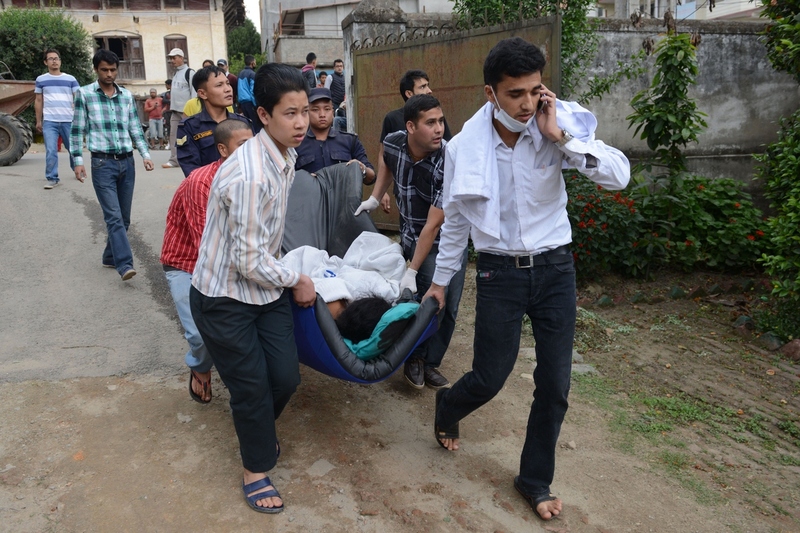 An army spokesman told Reuters that at least 18 bodies had been found at the mountain. 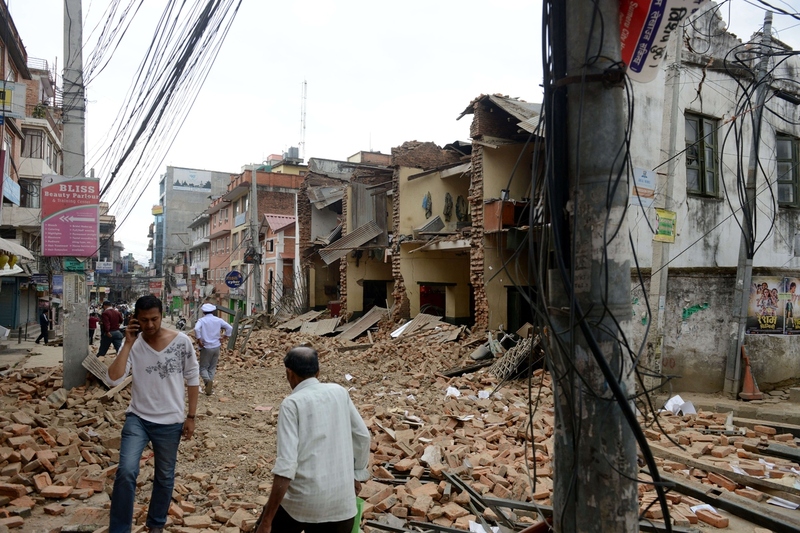 The earthquake’s epicenter was 50 miles east of Nepal’s second largest city, Pokhara. Geoscientists told The New York Times that the shallowness of the quake amplified the power of its tremors at the surface, adding to the scale of destruction. 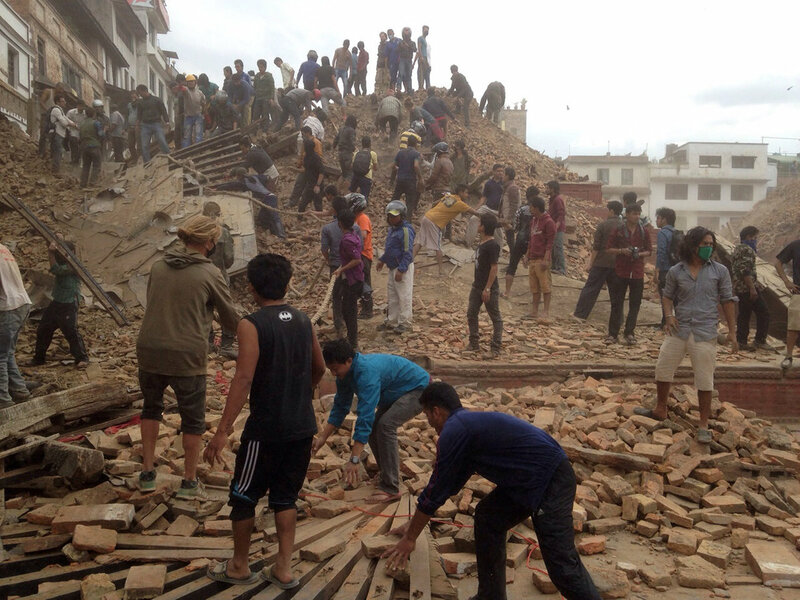 Strong aftershocks continued throughout the afternoon, as rescue teams scoured the rubble for survivors. 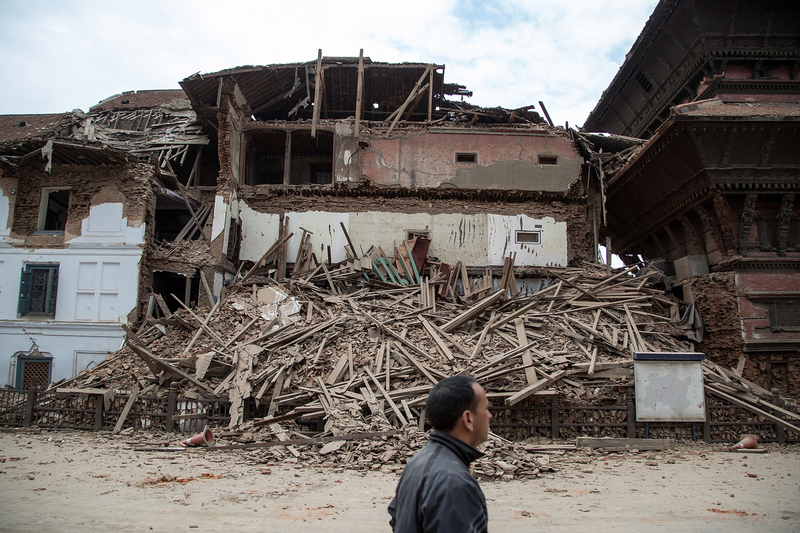 Nepali authorities struggled to assess the full scale of the damage across the remote Himalayan nation, with communications systems down in many areas. 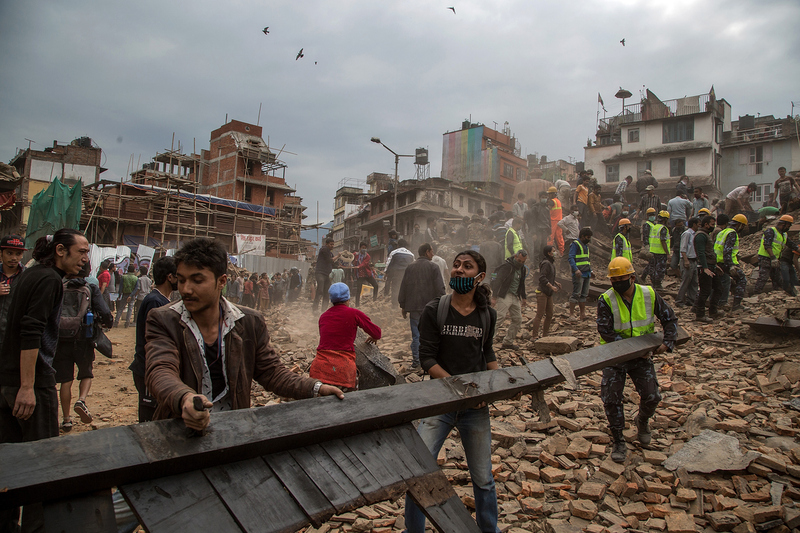 “We are totally cut off from most parts of our country,” Nepal Disaster Management Authority official Ram Narayan Pandey told Reuters. Many feared the worst. 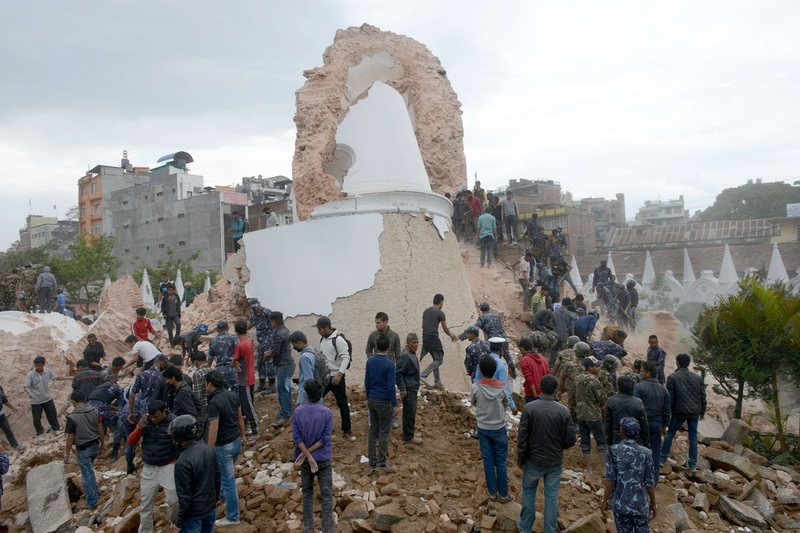 “Almost the entire country has been hit,” the deputy chief of mission at Nepal’s Embassy in New Delhi Krishna Prasad Dhakal warned. 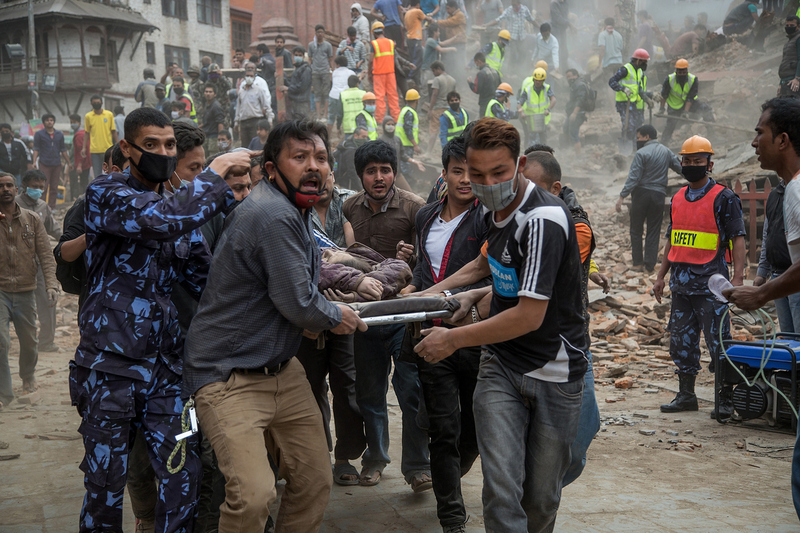 Nepali police said the death toll included at least 634 in the Kathmandu Valley and at least 300 more in the capital city of Kathmandu. 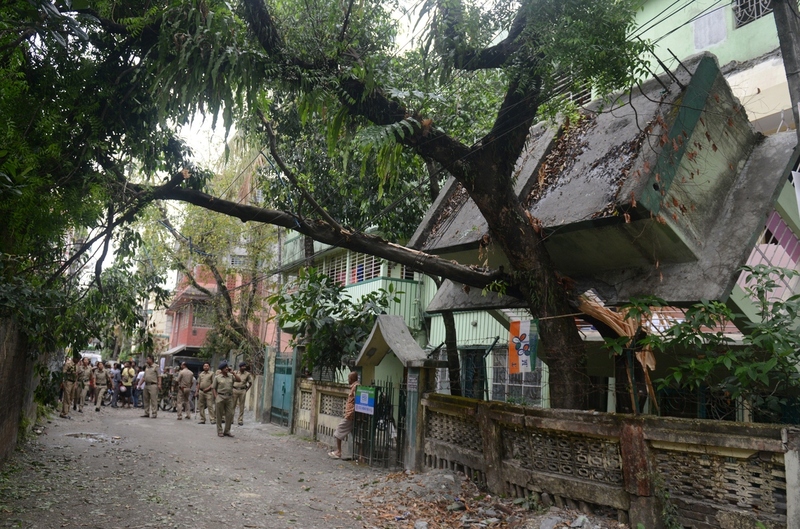 Thousands of people rushed onto the streets of the capital, in an effort to try to remain safe The Guardian reported, with many too afraid to return as the city was rocked by aftershocks. 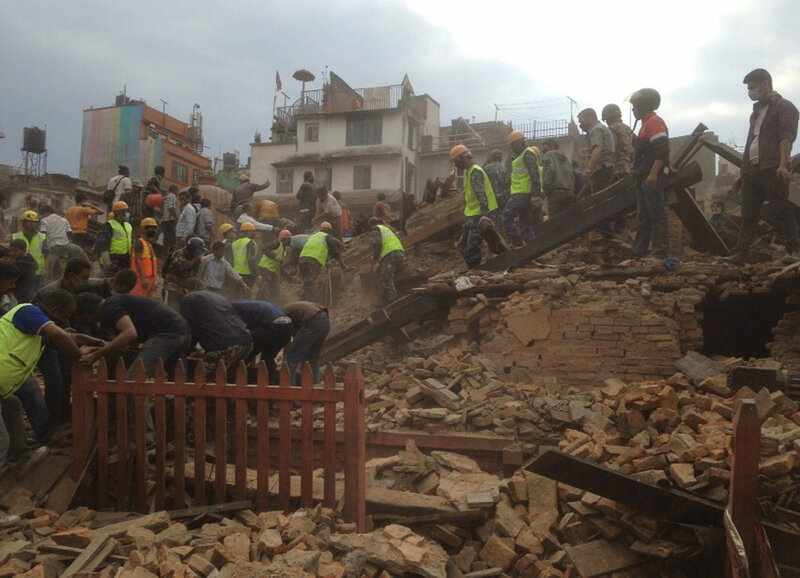 Footage of Kathmandu showed rows of collapsed buildings, and streets scarred by gaping cracks. Among the heritage destroyed in the historic city was the Dharahara Tower, a UNESCO-recognized landmark built in 1832 and a popular look-out point. 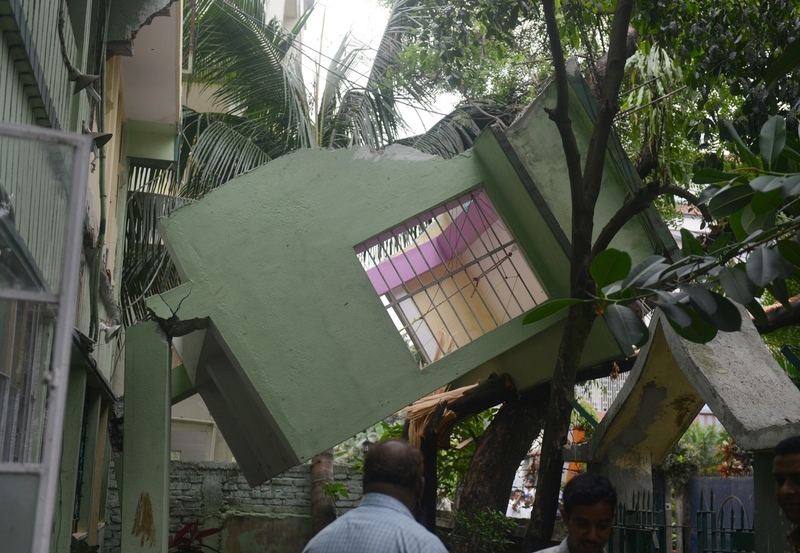 Around 200 people were trapped when the tower collapsed, police said. 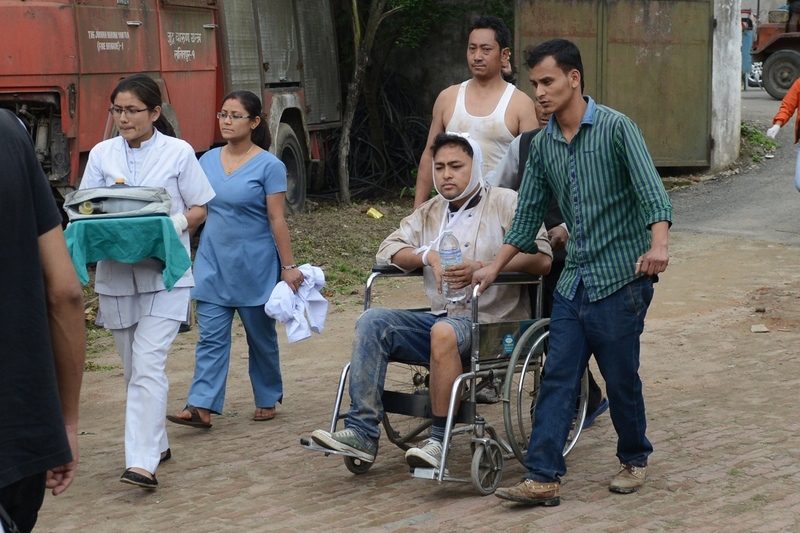 Hospitals in the capital were flooded with the wounded, with one converting their parking lot into a makeshift clinic, the Associated Press reported.